New Splatoon 2 Stage Revealed Early by Nintendo | Nerd Much? A new Splatoon 2 stage has been revealed for the upcoming Nintendo Switch game. It looks like players will need to chalk up for climbing wall this time. Revealed by the Japanese Splatoon Twitter account, the stage appears to be called Fujitsubo Sports Club. That translates in English to Barnacles Sorts Club. Within the new Splatoon 2 stage, there is an arching climbing wall, swimming pool, workout machines, and more. Squids gotta keep in shape too, right? Despite having three new screenshots, we don’t know much about this new area. Seldom does a stage exist without adapting the core game mechanics in a new and fun way, so it will be interesting to see what they do with this setting. 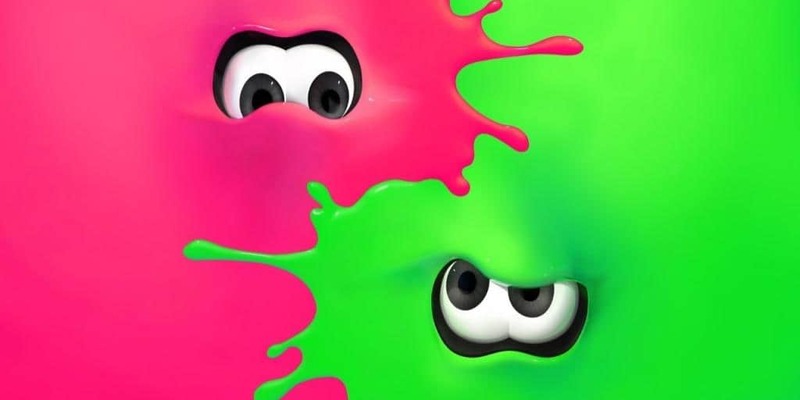 Splatoon 2 was first announced during the Ninterndo Switch reveal event and a full trainer released within the next day. No specific release date has been set, but there are even more stages, costumes, and weapons this time around. Fittingly the game is expected to launch within the summer months. For more about Splatoon 2 and other Nintendo Switch titles, check out our upcoming game lists of games coming to the Switch in 2017 and beyond. What weapons will you be using?